Credited with serving some of Australia’s most exciting food, Paul Wilson has been described as one of the most extraordinary culinary talents in the Commonwealth & continues to receive critical acclaim for crafting inspiring dishes that take an innovative approach to cuisine traditions. 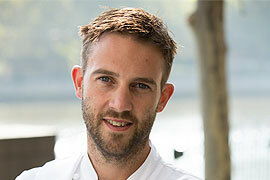 Henry Honner is the owner and Head Chef of Juno & May, Camberwell. His mandate is simple - to serve the freshest ingredients in the tastiest combination, based on the best dishes the world has to offer, irrespective of culture or country. 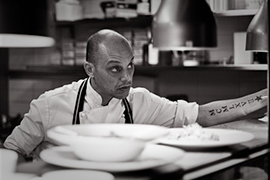 David Hall is Pure South Dining's newest addition as head chef of this iconic Southgate restaurant. 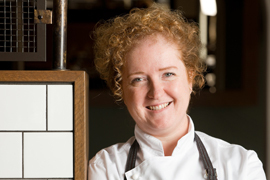 The talented young chef joins a world-class team in the Pure South Dining kitchen and will continue to create menus that are true to the restaurant’s ethos of “Provenance, Sustainable, Ethical”. “David’s career mirrors our own authentic story and he fits the definition of a great modern chef,” said Philip Kennedy. Born in Milano and growing up in Turin, Italy, Paolo Masciopinto’s interest in the kitchen began at an early age after working in restaurants during the summer holidays. Emma started her work experience at a winery restaurant and small hotel in Central Otago New Zealand, before beginning a Modern Apprenticeship at the award winning Hermitage Hotel in Mt Cook New Zealand. 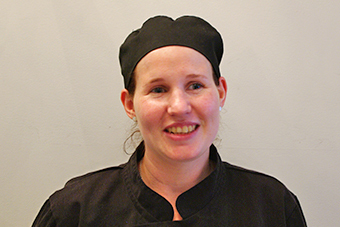 Working with Executive Chef Franz Blum, Emma gained extensive experience in every facet of the kitchen. 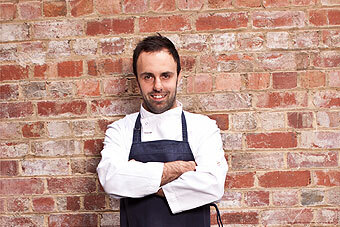 Chilean born Geo Tapia is head chef and owner of Two Beans and a Farm Restaurant. Entirely self taught, Geo established his first restaurant 12 years ago with a heavy influence from South American cuisine. 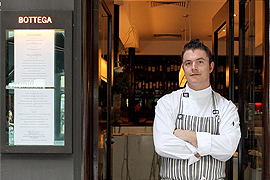 Neale White has been chef and owner of Papa Goose restaurant since its inception 4 years ago. 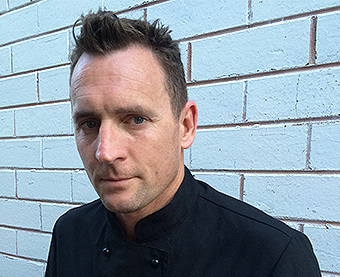 Neale started his cheffing career in London, England more than 20 years ago training under notable chefs such as Gordan Ramsey, Marcus Waering, Stephen Bull and Richard Corrigan. Pure South has made authentic efforts over the last 10 years in developing relationships directly with farmers, fisherman and producers to deliver their best. 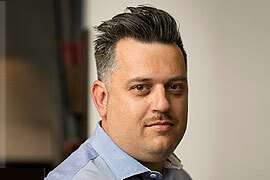 Ashley Davis has made his mark at some of London’s top restaurants. 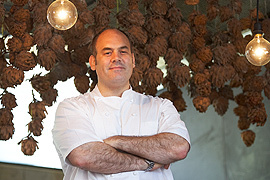 At the helm of 2 Michelin ‘Hélène Darroze at The Connaught’ in London’s Mayfair, Ashley took this London restaurant from one to two Michelin Stars in his first year and kept the rating for the next three. For a Melbourne talent who has hit this pinnacle, what do you strive for next? 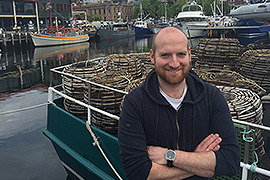 Born and raised in Tasmania, the Builders Arms Hotel and Moon Under Water Head Chef and co owner Josh Murphy moved to Melbourne at the age of 18 to begin his cooking career. After an early stint at The Palace in South Melbourne, Josh moved to the then three-hatted Circa, the Prince in St Kilda where he began his long-standing working relationship with Andrew McConnell. Born to Italian parents from the North of Italy, Maurice's influences come from his father working on Italain cruise liners for 16 years as a waiter. 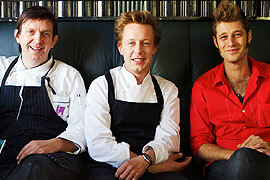 Having Worked at many of Melbourne finest restaurants over the past 15 years Maurice's influences are many and varied. Chaloem was born in a small Village near Loei, a city in the mystical Issan Region of far north-eastern Thailand along side the mighty Mekong River and the Laos border. His cooking skills are innate. A degree studying chemical engineering was cut short when Nicky realised it was hospitality that held her full attention. With a hotelier as a father, being around waiters, chefs and bartenders was the norm. "I literally grew up living in hotels," says Nicky, "My Dad, as the manager, would have an apartment in them. 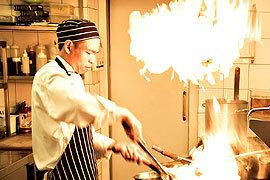 The only thing I knew was the hospitality industry." 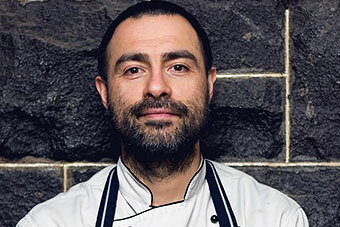 Gabriele Olivieri, Head Chef at Bottega in Melbourne, was raised on the Adriatic coast of Cattolica, in the Provence of Rimini, Italy. 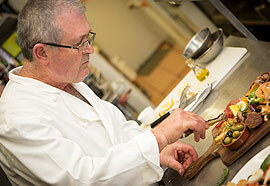 From a young age he was influenced by his Uncle Aldo, who taught Olivieri to love and respect fresh ingredients.